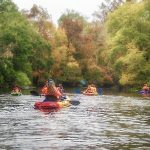 The Santa Fe River is a 75-mile long river in north central Florida and derives its name from a Franciscan mission named Santa Fé de Toloca once located near the river. It’s source is Lake Santa Fe – Little Lake Santa Fe located north of Melrose and East of Waldo. 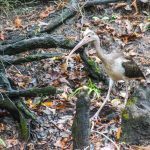 The upper half of The Santa Fe is a small, winding creek that often dries in periods of low water and the river is usually a slow-flowing river. 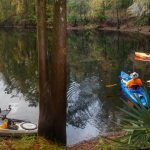 37 miles West of this source, the Santa Fe River disappears into a large sinkhole located in O’Leno State Park. The river continues to flow, underground, until it emerges 3 miles SSW of O’Leno in what is now River Rise Preserve State Park. 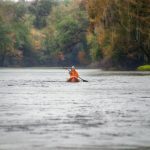 The Santa Fe River continues it’s flow for over 30 more miles until it meets the Suwannee River near Branford, Fl. 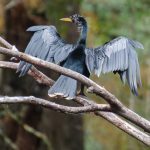 Along the way, numerous springs feed into the river as do New River, Olustee Creek, and the Ichetucknee River. Due to the numerous springs the water temperature is usually around 72 ° F, especially close to the springs. 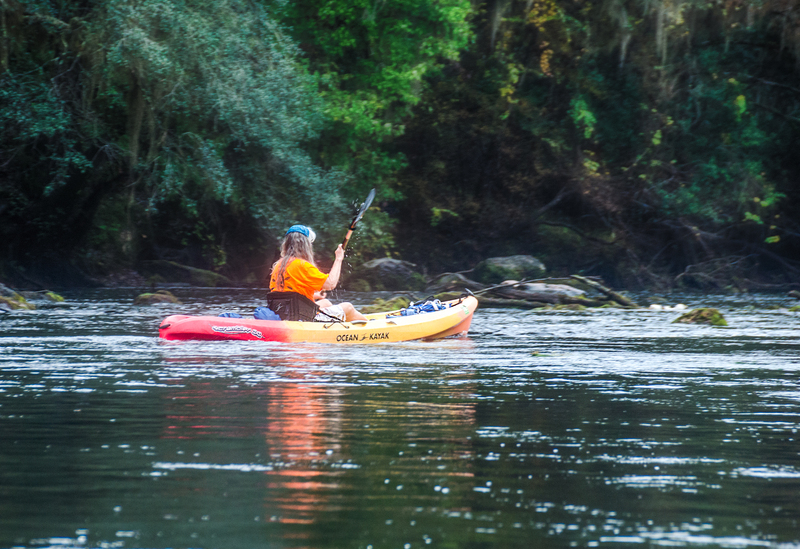 A 26 mile Designated Paddling Trail runs from High Springs to Branford at the Suwannee River. 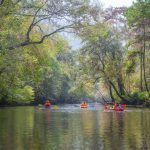 The upper portion of this stretch has the abundance of popular springs and after the Ichetucknee flows into the Santa Fe, the river widens. 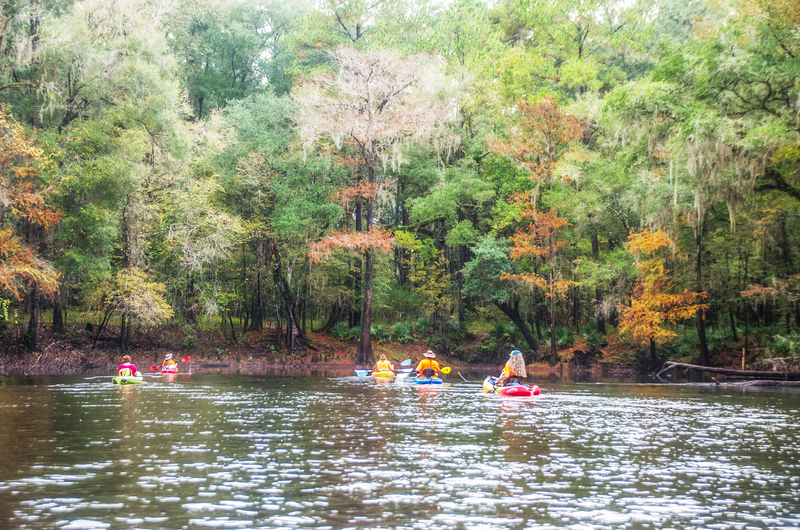 In this section there is more development and numerous powerboats as it flows into the Suwannee River. 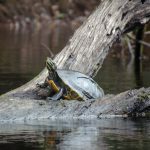 The River Rise has an abundance of wildlife to include several species of Turtles, Otters, Deer, Snakes, Herons, Egrets, Limpkins, Owls and Ospreys among others. 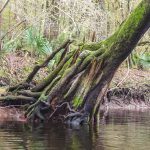 The shoreline, adorned with numerous Cypress Knees, is an assortment of hardwood trees and Saw Palmetto. 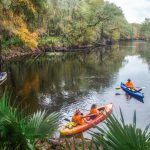 Location: The ‘River Rise’ is located in Alachua County in the River Rise Preserve State Park. 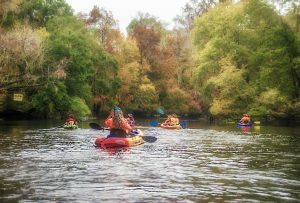 Launch/Take Out Point for this paddle: The launch is located at the High Springs Boat Ramp, 25227 Boat ramp Rd, High Springs, FL 32643. 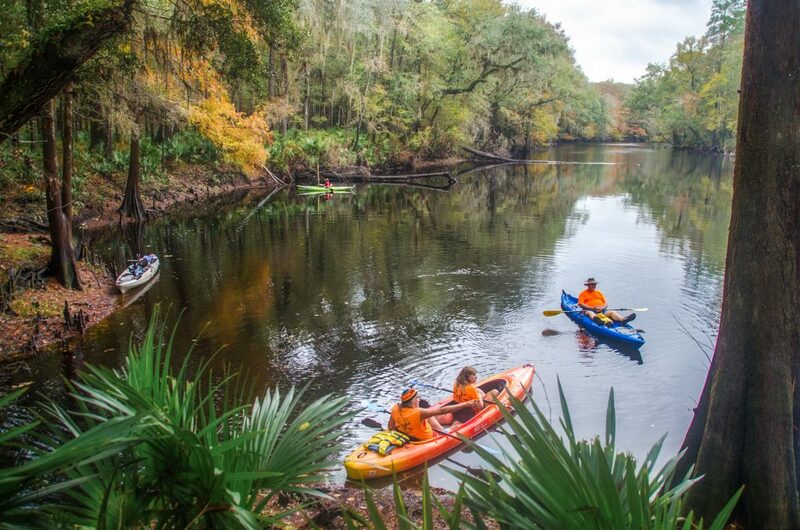 Rentals are available at Santa Fe Canoe Outpost High Springs, just up the road/river from the launch and Adventure Outpost in downtown High Springs. Paddle Distance: Approximately 5.5 miles round trip. Difficulty: Easy. Today there was a strong current at the launch on the Santa Fe River, but an easy, relaxing paddle up and back. Width and Depth: The width of the Santa Fe was 170′ at the launch and 135′ at the River Rise. In between there were minimum widths of 40′ and 90′. At the launch the depth was 2-3′ and naturally deeper by the time we reached the Rise. Flood stage for this area is 37′ and water level was at 31.5′. Current – Tidal: The current was swift at the launch but quickly mellowed out. 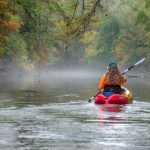 Even though we were paddling upstream, there were areas of minimal resistance and a slow steady pace on the return. Rest Areas: Rest areas available at the launch as well as at the rise. Along the river there are areas to come ashore for a break, however they are either muddy or with a 3-6′ bank. 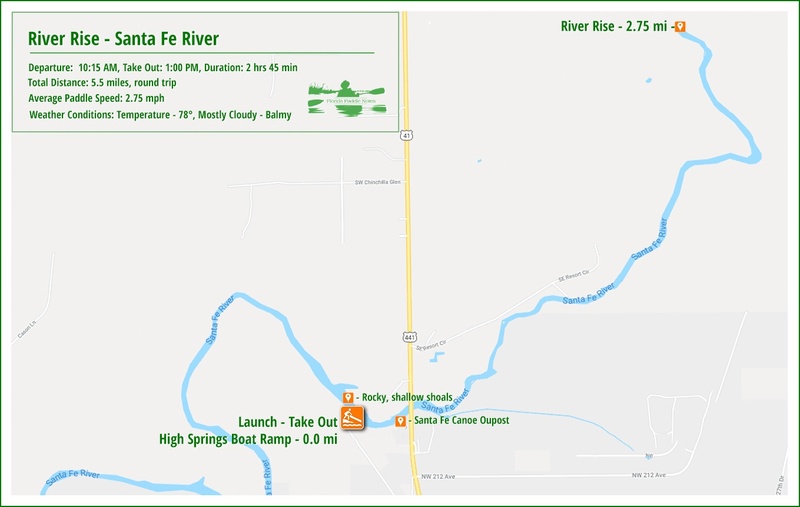 There is access to Santa Fe Canoe Outpost on the southeast side of the Hwy 41 Bridge. 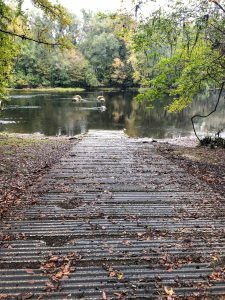 The High Springs Boat Ramp is located at 25227 Boat ramp Rd, High Springs, FL 32643. 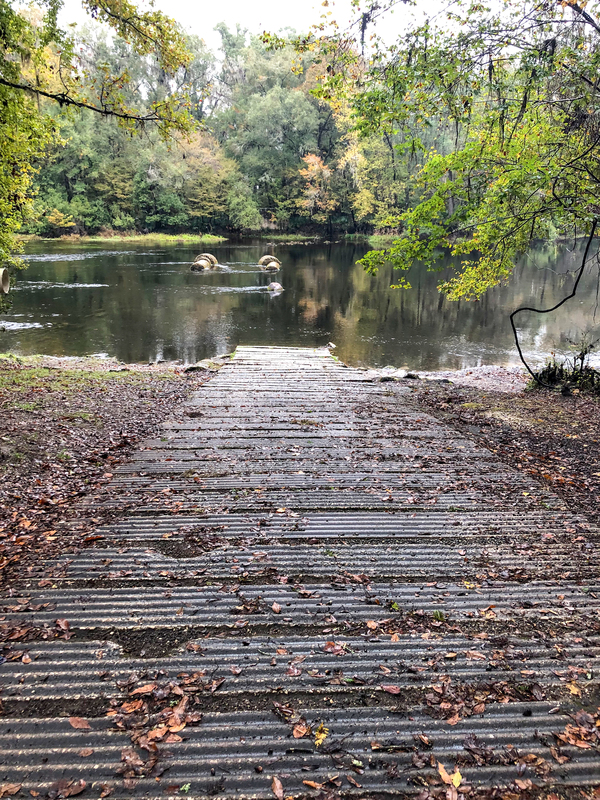 The High Springs Boat Ramp (and surrounding property) was purchased in 1958 from the State of Florida to provide recreational access to the Santa Fe River. It is a bit of a slope for hauling kayaks but a good concrete ramp. Boats can be staged on either side of the ramp in the shallow, limerock and sand bottom water. Today was a balmy, 78° at our 10:15 launch from High Springs Boat Launch. It was cloudy with a few sprinkles in the air and we headed upstream to River Rise. The current at the launch was swift but not long lasting and by the time we went through the first major bend it was easy going. This section of the Santa Fe is absolutely gorgeous. 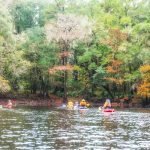 Being Fall, many of the trees were turning colors…Bald Cypress – Orange, Red Maples – Red, other Maples and Gums – Yellow. 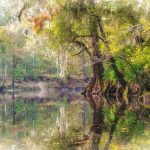 The colors were offset with the greens of the Live, Laurel and Water Oaks, young Pines and Saw Palmettos. 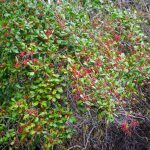 Dahoon Hollies were in full color with Red Berries and the foliage from many other trees was reminisce of Spring with fresh young, pastel and vibrant leaves. There were only a few areas with Water Hyacinth, the shoreline was for the most clear of aquatic plants. 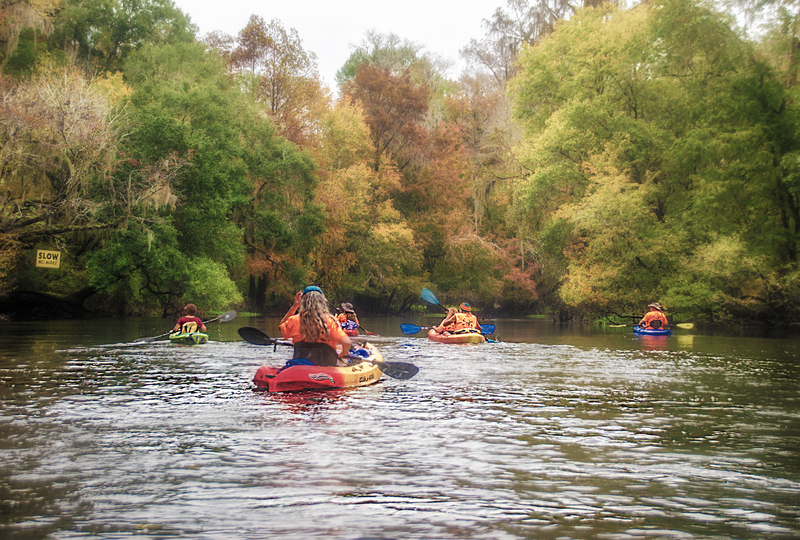 Like small sentinels, Cypress Knees lined the shoreline for the entire paddle. 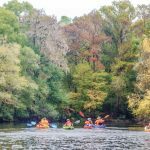 With water level around five feet below flood stage ( 37′ ) the 2′ – 6′ banks were evident on both side of the river topped with very vibrant Saw Palmettos. The humid air created mists in several sections and constantly fogged my glasses and camera lens. 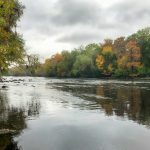 River Rise was beautiful! Colorful trees, nice banks and a pleasant rest area. I remain surprised that for such a large body of water emerging from underground, there was very little motion on the surface to indicate just what an amazing natural occurrence is taking place below us! 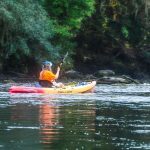 We enjoyed a pleasant break and drifted leisurely downstream to the launch ending another chapter of Florida Paddle Notes.